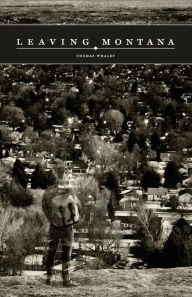 Leaving Montana by Thomas Whaley is a highly recommended novel about an adult child who survived a highly dysfunctional childhood. Benjamin Sean Quinn is a forty year old man who, from all outward appearances, has a perfect life. He and his partner of 14 years have 2 daughters. They live in a well-appointed home in a prestigious neighborhood. But Ben is "as angry as hell. Angry to the core." In Leaving Montana he has chosen to confront once and for all the messiness that was his childhood and the hidden secrets it holds in an attempt to rid his life of the anger. Ben tells the story of his childhood with battling parents Carmella and Sean while going on his current day trip to Montana. His parents are always referred to by their surnames, never an affectionate mom and dad. Most certainly we know that his childhood is the root of his anger, but there are more secrets to be uncovered. The story of his parents' marriage is heart breaking, but so is the anger that Ben has held on to for far too long. Ben is an arrogant man, but freely admits his flaws and is able to laugh at them. This is a well written novel written in first person about dysfunctional, embattled families and secrets. The big secret here was one I suspected almost immediately, but the enjoyment was in the journey. 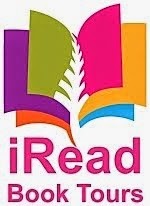 Disclosure: My Kindle edition was courtesy of Sakura Publishing for review purposes.